G.Skill is one of the most active participants in the DDR4 memory market. It seems that every few weeks it's either announcing an overclocking record or, like today, a new memory kit, the latest supposedly the world's fastest 128GB DDR4 kit around. Part of the company's Ripjaws V series, the new 128GB kit consists of eight 16GB modules individually and collectively rated to run at 3,000MHz at 1.35V with timings set at 14-14-14-34. If you're considering these, make sure your motherboard has enough DIMM slots. Why would you need that much RAM or speed? Most people don't, and won't for quite some time. But never say never. "It's truly one of the highest-end DDR4 solutions available for building the ultimate workstation for content creation, 3D rendering, scientific calculation, or other professional applications," G.Skill says. Make no mistake, this kit screams excess, at least for now. At the same time, seeing these types of kits makes me think back to nearly 10 years ago to one of my first RAM reviews (another site, another lifetime), a 2GB (2x1GB) DDR1-500 memory kit that was considered more than what most people needed. Granted, it wasn't on the same level of excess as a 128GB kit today, but it's still interesting to see the RAM category reach new heights, both in speed and capacity. G.Skill says its new 128GB RAM kit brings XMP 2.0 support to Intel's X99 platform—just plug it in and the BIOS should detect and configure the correct settings. Look for the new kit to be available sometime this month. 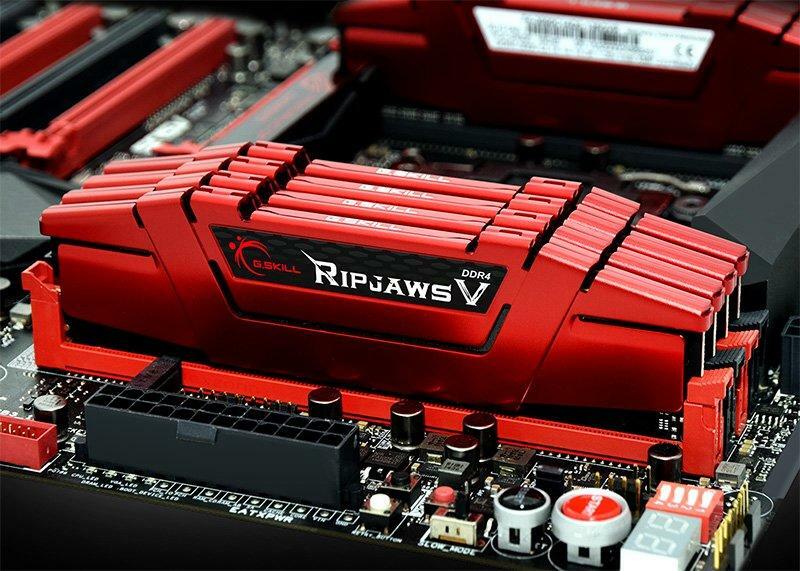 G.Skill didn't say how much it will cost, though as a point of reference, its 128GB Ripjaws IV series streets for around $850. As for that 2GB DDR1 kit referenced above, picking one up for around $300 was considered a bargain at the time. Crazy stuff.